Two surprise appearances by Eddie last night in Chicago! 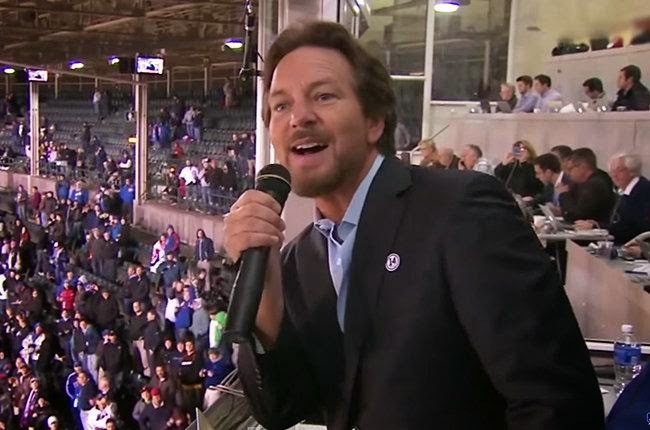 First Ed appeared at Wrigley Field to sing for the Seventh Inning Stretch on the 45th anniversary of Ernie Banks' 500th homerun. He also popped in at Marytyr's last night to sing a couple of songs with Simon Townshend, Pete's younger brother. The videos are below! Betterman on Letterman by Vedder, Man! Is Pearl Jam Coming Back to Austin City Limits?